This volume brings together 29 new essays by leading international scholars, to provide an inclusive overview of recent work in Reformation history. 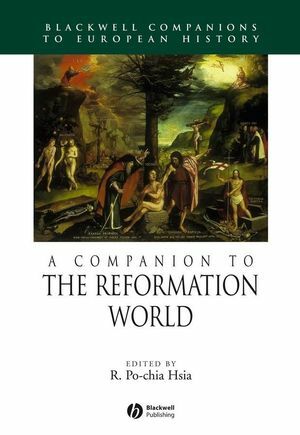 Examines Reformation in Eastern and Western Europe, Asia and the Americas. Takes a broad, inclusive approach – covering both traditional topics and cutting-edge areas of debate. R. Po-chia Hsia is Edwin Earle Sparks Professor of History at Pennsylvania State University. He previously taught at Columbia, Cornell, University of Massachusetts, and New York University. He has received fellowships from the United States and Germany, and has held visiting professorships and research positions in Germany and the Netherlands. Elected in 2000 to the Academia Sinica (Taiwan), he is currently researching the history of Sino-European relations from the 16th to the 18th centuries. His books include Society and Religion in Munster 1535–1618 (1984), Social Discipline in the Reformation. Central Europe 1550–1750 (1989), and The World of Catholic Renewal 1540–1770 (1998). Brings together 29 new essays by leading international scholars, to provide an inclusive overview of recent work in Reformation history.